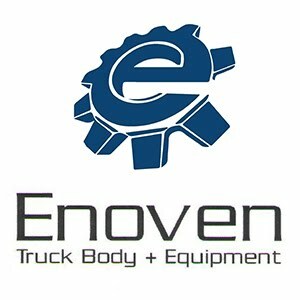 Our new aluminum truck bodies feature a no compromise design, underwent rigorous testing and are constructed using cutting-edge manufacturing. We took customer first, collaboration and continuous improvement to a whole new level. for a live unveiling of the Ultimate Work TITAN1 – the second in a series of three Ultimate TITAN builds created as part of the Calling All TITANs campaign. 1. Custom vehicle not available for purchase. 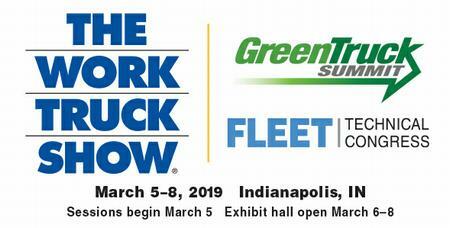 Green Truck Summit & Fleet Technical Congress Conference & Trade Show Package registrants have the opportunity to attend March 5 general sessions for both events as well as Work Truck Show concurrent sessions on March 5–7. Ford Motor Company announces an investment in the Chicago Assembly Plant and plans to spend $1 billion to create and retain jobs. This assembly plant will focus on building the all-new 2020 Explorer, Lincoln Aviator and Ford Police Interception Utility, showcasing our commitment to American manufacturing. Determined to top a coast-to-coast record held by GM's gas engine, Clessie Cummins set out with a diesel-powered cargo truck on a route from New York City to Los Angeles in August 1931. 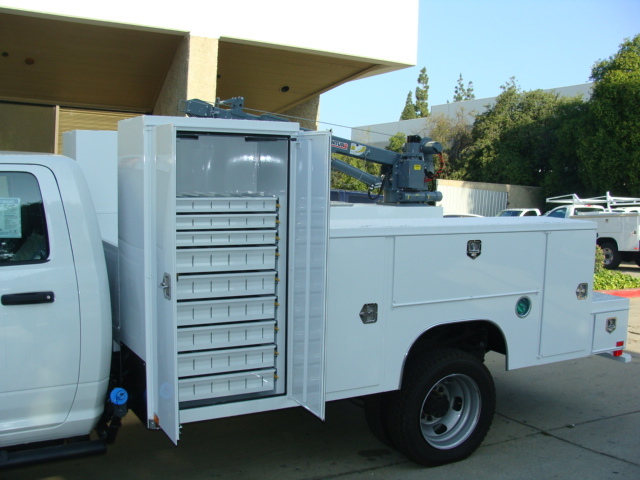 Masterack has a ladder rack for every type of commercial van, plus accessories to customize a package to your particular need. Choose from the original Masterack Locking Rack, the ergonomic Slide-Down Rack, the effortless PowerRack, or the economical heavy-duty Utility Rack. Thanks to all those who came out and supported us at The SEMA Show this year! We hope you all enjoyed the experience. 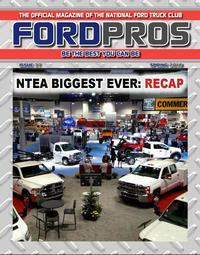 If you didn't get a chance to come out to SEMA, here's a quick glimpse of what took place! This Harbor body includes an optional 3-piece cargo bed enclosure installed on the service body to keep those items in there out of sight and out of mind. 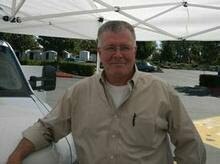 The top opens up two thirds of the bed area when opened and glides smoothly on teflon pads. The other unique thing on this is the way the rear is finished. Most commonly, the rear would be barn doors with no tailgate and this one retained the tail gate also has modified the barn doors with a HD lock assembly to boot. This unit has a HD material rack with a conduit box and master lock system to make life easy on the job site. Fleet Technical Congress presents strategies and processes to help fleet managers take advantage of the technology revolution and find creative solutions to enhance fleet operations. The 2019 Nissan NV Cargo Van provides exceptional utility thanks to a long, wide cargo floor, square-top wheelwell housings and nearly vertical sidewalls – room to fit two 40x48-inch pallets, 10-foot piping or 4x8-foot drywall sheets. Along with maximizing cargo space, the sidewalls accommodate aftermarket storage systems without excessive modification. The Nissan NV Cargo provides rugged body-on-frame construction across the entire lineup, including with a High Roof, which provides most users the ability to walk, stand and work in the cargo area. For the 2019 model year, all NV Cargo grades come equipped with standard 7.0-inch display audio AM/FM with AUX, USB, Streaming Audio via Bluetooth®, Bluetooth® with voice recognition and USB connection port for iPod® interface and other compatible devices. In addition, the Backdoor Glass Package availability has been expanded to include S and SV V8 model configurations. As in previous years, the 2019 NV Cargo Van provides exceptional utility thanks to a long, wide cargo floor, square-top wheelwell housings and nearly vertical sidewalls – room enough to fit two 40x48-inch pallets, 10-foot piping or 4x8-foot drywall sheets. Along with maximizing cargo space, the sidewalls accommodate aftermarket storage systems without excessive modification. Available technology includes NissanConnect® with Navigation and Mobile Apps. The system features a 5.8-inch color touch screen display, Nissan Voice Recognition for audio and navigation, SiriusXM® Traffic and SiriusXM® Travel Link™ (SiriusXM® subscription required, sold separately). All NV Cargo models come with America's Best Commercial Van Warranty2 – featuring bumper-to-bumper limited warranty coverage of 5 years/100,000 miles, whichever comes first. Nissan's Light Commercial Vehicle warranty was inspired in part by the stories of Nissan Commercial Vehicles experiencing remarkable longevity under real-world work circumstances with businesses. The limited warranty reaffirms Nissan's confidence in the quality of its commercial vehicles, as some of the NV 2500 and 3500 models have already accrued 550,000-plus miles of real-world use. One of the overarching goals for the NV Cargo design was to combine pickup truck-like comfort, interior amenities and drivability with a cargo van's capacity and security. The Nissan NV Cargo interior answers one of the major unmet operator needs – driver comfort and roominess. The wide front doors provide easy ingress and egress, while supportive bucket seating with extensive adjustability, large armrests and a truck-like driving position with ample legroom and foot room enhance comfort. 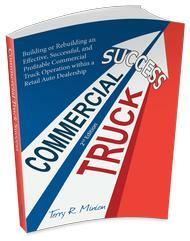 Another major contributor to the pickup-like cab is the absence of the traditional van engine "doghouse" that intrudes into the cab due to the setback engine placement. The Nissan NV Cargo utilizes a conventional truck engine layout with out-front engine design. This not only frees up space under the instrument panel and between the seats, it also provides easy under-hood access to the entire engine for routine service and maintenance. The NV Cargo High Roof provides a maximum 76.9-inch cargo room height – enough for most users to move about the cargo area while standing up straight. The NV Cargo is the only available High Roof model in the segment1 with rugged body-on-frame construction. Standard Roof NV Cargo models are designed to fit in most garages or go through most car washes and fast food drive-through lanes, along with offering easier reach to access roof racks. Many businesses, however, require the added cargo capacity and the ability to stand up and work inside – which the High Roof NV Cargo delivers, enhancing everyday operations and productivity. 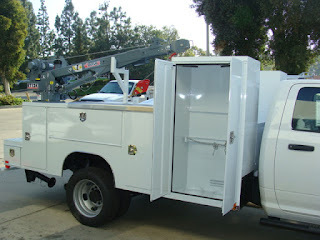 Along with being conceived as a "mobile office," the Nissan NV Cargo is designed to function as a "mobile workshop" with exceptional utility – thanks to its wide door openings and simple, flexible cargo area layout with a long, wide cargo floor, square-top wheel well housings and nearly vertical sidewalls. The NV Cargo offers room between the wheelhouses to accommodate standard plywood or drywall sheets or pallets. A range of cargo area tie-down rings, along with ample cargo area lighting, further enhances the NV Cargo's utility. The cargo area also features a full-length inner panel to help prevent cargo from denting the vehicle's outer skin (SV models). 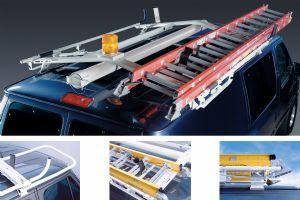 The roof attachment points are designed to accommodate installation of various ladder or utility rack systems without piercing holes in the roof, which can lead to corrosion and water leaks. The cargo area also features standard "upfitter pre-wiring" for easy access into the electrical system, wide-coverage cargo area lighting and available power outlets including available 3-prong 120V outlet in center console and D-pillar locations. 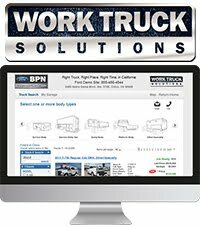 Cost of ownership and operation is another critical factor in the CV segment, whether for major fleet operations or individual business owners. The 2019 Nissan NV Cargo is offered in a choice of two dependable engines, starting with a 261-horsepower DOHC 24-valve 4.0-liter V6 with 281 lb-ft of torque. The engine includes Nissan's Continuous Valve Timing Control (C-VTC) for improved efficiency and is matched with a refined, heavy-duty 5-speed automatic transmission. The advanced 5.6-liter Endurance® V8 gasoline engine features best-in-class3 375 horsepower and 387 lb-ft of torque. Assembled in Decherd, Tenn., it is matched with a heavy-duty 7-speed automatic transmission. The Endurance® V8 engine features four-valves per cylinder, Variable Valve Event & Lift, and Direct Injection. Throttle response is enhanced by directly controlling the intake valve, rather than using the traditional method of controlling intake with a throttle valve, and valve timing and opening with non-variable camshafts. TITAN XD and Armada models. NV Cargo models equipped with the Endurance® V8 engine are outfitted with a 7-speed automatic, which features Adaptive Shift Control and Downshift Rev Matching. The 2019 Nissan NV Cargo is offered in three well-equipped models – the V6-equipped NV1500; the NV2500 HD, which is offered with V6 and V8 engines; and the NV3500 HD with a standard V8 engine. All three models are available with the Standard Roof, while the High Roof body is offered in the NV2500 HD and NV3500 HD models only. Three grade levels are available – S, SV and SL. The SV grade includes a long list of standard features, such as two additional audio speakers (four total), rear cargo mat, center console with sliding table and lockable storage (2500/3500 series only), rear sonar, 17-inch styled steel wheels and more. The SL grade features chrome bumpers and grille, chrome-clad wheels, heated outside mirrors, 8-way power driver's seat and Vehicle Security System. Three option packages are offered, including the Navigation Package, featuring SiriusXM® Satellite Radio (SiriusXM® subscription required, sold separately) and NissanConnect with Navigation and Mobile Apps with 5.8-inch touch screen; the Back Door Glass Package (all grades); and Vinyl Seat Package (S grade only) with vinyl seat upholstery. The Nissan NV is also available in a 4-row/12-passenger van version. 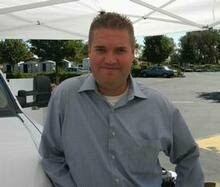 For information on the 2019 NV Passenger Van and NV Cargo Van, please visit NissanNews.com.